This type may also have been issued under Bohemond VI, 1552 to 1575. Size : 14.8 x 15.7 mm. Weight : 0.67 grams. Grade : VF weak inscriptions. Obverse : Cross pattee with three pellets in one corner, and BAMVND' COMS around. 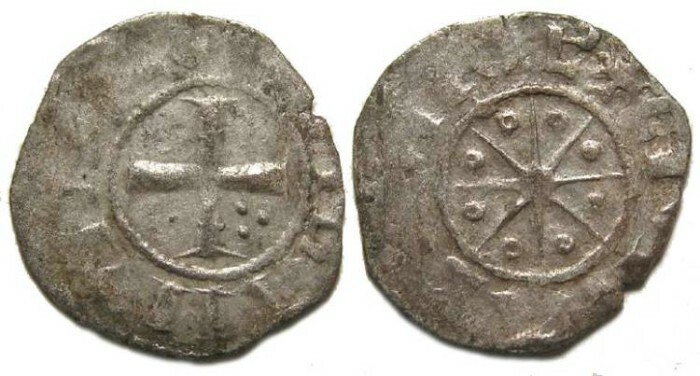 Reverse : Eight pointed star with annulets between the rays, with CIVITAS TRIPOL around.